A Seppala Siberian Sleddog is a completely natural dog with a beginning rooted in the harsh expanses of northeastern Siberia, a center in the severe environment of early 20th century Alaskan sled dog transportation and racing, and a recent existence as a registered purebred racing sled dog. He stands 19 to 24 inches at the shoulders, weighs from 35 to 60 pounds, is leggy, light to moderate in bone, well-angulated in the front, moderately angulated and very flexible in the rear, has a deep, narrow chest and is well-coated. Most importantly, he has an innate desire to pull and run fast, a strong willingness to please his owner and a very friendly demeanor towards people. After the serum run (see Seppala Heritage link), Leonard Seppala and 43 of his Siberian sled dogs were given a hero's train trip across the lower 48, arriving in New England in January, 1927. There, Seppala teamed up with Elizabeth Ricker to form the first "Seppala Kennel". He and Ms. Ricker bred and raced these sled dogs until 1931 when the partnership was disbanded, and Seppala returned to Alaska. 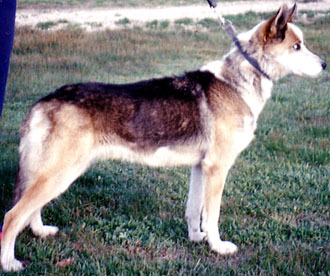 The dogs of the Seppala-Ricker Kennel formed the foundation of the contemporary Seppala Siberian Sleddog. Nine of the Seppala-Ricker dogs, including the last two Siberian imports, Tserko and Kreevanka, were sold to Harry Wheeler of St. Jovite, Quebec, Canada in 1931. Harry Wheeler kept these dogs as a closed set, never bringing in outside dogs not totally derived from these dogs or their parents. He bred and raced them until 1950 when he sold out to J. D.McFaul, who had been breeding Siberian Huskies that were 90% based on Wheeler stock under the Gatineau name. 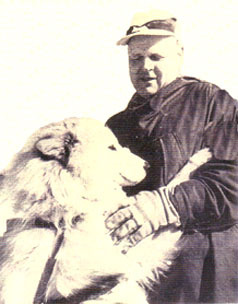 McFaul dispersed his Gatineau dogs, who became the basic building blocks of the contemporary racing Siberian Husky, and commenced breeding and racing the Wheeler Seppala dogs, also using the Seppala Kennel name. He sold most of the long-coated Wheeler Seppalas to William Shearer III, who had Foxstand Kennel. Shearer had been breeding and racing stock from Wheeler and the Seppala-Ricker Kennels since 1930. Both McFaul and Shearer continued the strict closed breeding policy initiated by Wheeler, Shearer until the mid 1950's and McFaul until the mid 1960's. So the breeding of the purebred Siberian Husky followed two distinct paths from the very beginning, 1930, to the mid-1960's when McFaul sold out. There was the Seppala path, started by Harry Wheeler and continued primarily by McFaul and Shearer. And then there was the conventional Siberian Husky path, which occassionally borrowed from the Seppala side but never the reverse. Two very different types of dogs resulted from these two different paths. 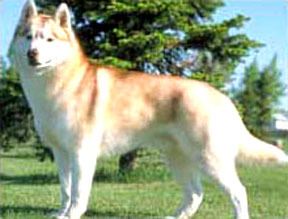 The conventional Siberian Husky was created by the purebred exhibition crowd where cosmetic considerations dominated the selection process. 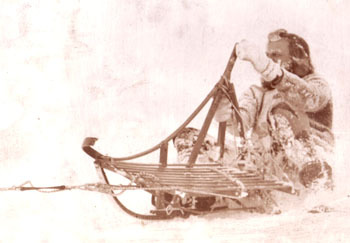 Havoc was rendered on the physical and mental characteristics essential to pull a sled rapidly over moderately long distances. On the other hand, the Seppala path was throughout its history motivated by work and racing. Between 1970 and 1975, a Canadian, J.J. Bragg, and an American, Gary Egelsten, continued closed Seppala breedings to the extent of 10 litters by Bragg and about the same number by Egelsten. Neither did any work testing,and both were gone by the mid 1970's. 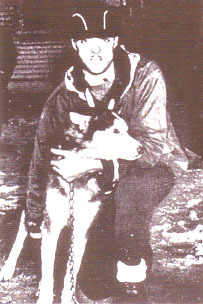 Some of the Bragg stock was picked up by Bruce Morrow (Uelen Kennel), who subsequently passed most of his stock to Douglas Willett (Seppalta Kennel). Willett reintroduced a racing work test, and later introduced some mild outcrossing to racing Siberian Huskies. 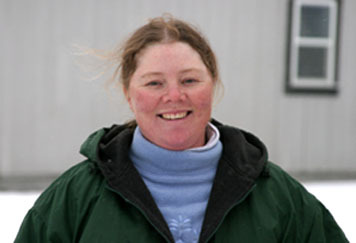 For 30 years, 1975 to the present, Seppalta and spin-off kennels, most notably, Lanette Kimball's Sepp-Lok Kennel, have maintained a work-tested, essentially closed, Seppala breeding program. J.J. Bragg resurfaced in the 1990's to establish the fourth "Seppala Kennel" from stock derived primarily from Seppalta breedings and a 1990's dog from Russia. In 1997, he established the "Working Dog Association of Canada" (WDAC), whose purpose was to develop in Canada an "evolving breed" from the most direct descendents of the Leonard Seppala Siberian sled dogs and new imports from Siberia. The WDAC dogs were no longer called Siberian Huskies, but rather Seppala Siberian Sleddogs. The ctiteria for determining a "direct descendent" was set in 2005 as 95% derived from the 10 dogs that were the Markovo-Seppineau foundation dogs of the 1970's and "satisfactory inspection." In the spring of 2002 a group of "Seppala" breeders spear-headed by Douglas Willett (Seppalta), LanetteKimball (Sepp-Lok), John Coyne (Chukchi) and Robert Davis (Tay Marr) organized a similar "break-away" for the rest of the world's Seppalas. This was the beginning of the International Seppala Siberian Sleddog Club (ISSSC). A compact was set-up with the Continental Kennel Club, an independent international registry emphasizing healthy working dogs, to recognize and register a set of founders for a new breed to be called the Seppala Siberian Sleddog. The criteria for the founders was, with the exception of new Siberian imports, more liberal than the WDAC criteria. All Siberian Huskies that were at least 93% derived from the ancestors of the 9 Harry Wheeler foundation dogs would be accepted without any inspection. However, a closurer date was set of January 1, 2005 for founders not satisfying the WDAC criteria and January 1, 2006 for founders that do satisfy the ISSSC criteria. After closurer only dogs bred from dogs already in the pedigree file will be automatically registered as purebreds. A provision for allowing in fresh blood to maintain genetic and working integrity was established, but is yet to be tested. Modern day dogs from Siberia are to be treated like any other dog not already registered in the Seppala registry. 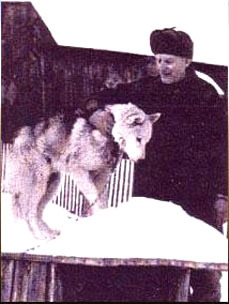 All WDAC dogs were given registered status and a compact to share the "Seppala Siberian Sleddog" name was agreed upon. This is a brief account of how the Seppala Siberian Sleddog has come to be. However, it is not the history that has made the dog, but rather the dog that has made the history. To have a Seppala is to know what a Seppala is!